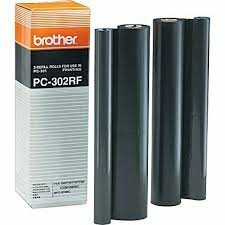 This Compatible Thermal Fax Ribbon Refill Rolls is replacement for Brother PC302RF and it is used at PC301 fax cartridge frame. When the fax ribbon is used up, you can just replace the Brother PC302RF without replacing the entire PC301 fax cartridge frame. This PC302RF thermal fax ribbon is having superior quality and manufactured by a factory with ISO-9002 standards. If you have any questions about this product by Emco, contact us by completing and submitting the form below. If you are looking for a specif part number, please include it with your message.